Job Vacancy with Serendipity Trust (Guarantee) Ltd! 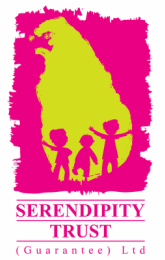 The Serendipity Trust is seeking a part-time Project Officer to support and deliver ‘art and play’ sessions three times per week at the Sambodhi Home for the Disabled (Megalle, Galle). This programme provides a vital socialization, recreation and creative outlet for residents. If you are interested in this job, please email your resume with a covering letter outlining your related experiences and interests to info@serendipitytrust.com or call 091 2248086 for further information. Click here for more information about the Art and Play Programme at Sambodhi Home. Applications close on Tuesday 12th July 2016.